Dripping Springs is a destination for nature lovers, fans of craft beer and wine, and those looking for an unforgettable family getaway. Spend a day outdoors at favorite spots like the Pedernales Falls State Park and Reimers Ranch, tour the many breweries, wineries, and distilleries, and visit artists in their studios. Encounter creatures at the Austin Zoo and team up with your family for paintball challenges. There are so many things to do in Dripping Springs. Check out the below list for help on where to begin in this city that’s located just west of Austin in the Texas Hill Country. Travel to Dripping Springs and experience the beauty of the Texas Hill Country for yourself. This area offers a number of parks and recreation areas where you can spend weeks exploring. Plan ahead and make your reservations to swim at Hamilton Pool Preserve, one of the most sought-after Texas swimming holes, where a cave opens to pristine turquoise waters. 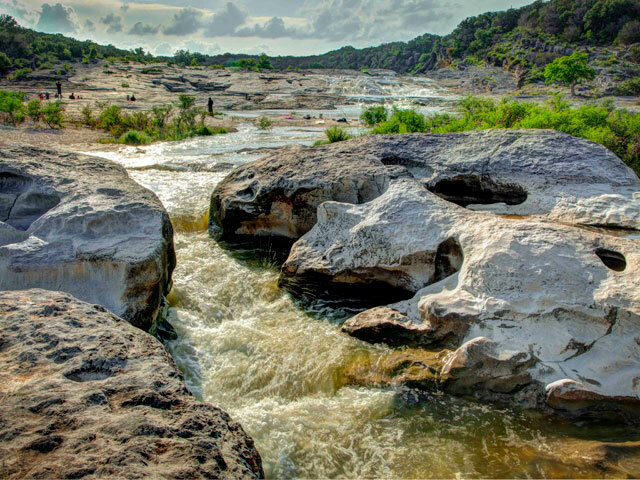 Pack your tent, mountain bike, river tube, and kayaks for an adventure in the nearby Pedernales Falls State Park where the Pedernales River runs over limestone rock beds creating a series of waterfalls. Challenge yourself with an afternoon of rock climbing at Reimers Ranch, also along the Pedernales River. You can mountain bike, hike, fish, swim, and ride horses here as well. Join in on guided tours each Saturday morning and monthly bird walks the first Saturday of the month, October through April. Westcave Preserve is another oasis to explore where you can observe wildlife and take long, rejuvenating hikes. Pack a picnic and your binoculars and get some birding in at Charro Ranch Park and cool off in the pool at Founders Memorial Park. There are so many great places to get outside here, making it a top Texas destination for nature lovers. It’s astounding how many wineries there are in Dripping Springs. So many, you can plan an entire trip around touring them all. This is one of the most popular things to do in Dripping Springs, especially for girlfriend getaways. Let someone like Discover Texas Wine Tours take you on a tour of the wineries in a limousine or euro-bus. 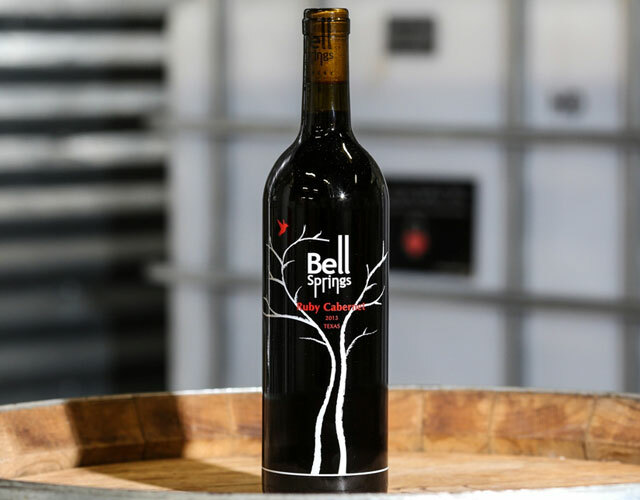 Bell Springs Winery actually has two locations in Dripping Springs where you can visit the vineyard or head straight to the Sidecar Tasting Room Prohibition Wine Bar with a lovely ambiance and live music often. Their reds include a tempranillo, a Malbec, and a “Drippin’ Sweet White” infused with fresh peaches. Head to Driftwood Estate Winery and Vineyard for beautiful vistas and delicious tastings of an impressive lineup of wines that includes a cuvee blanc, viognier, and dry rosé made with 100 percent Syrah grapes from the estate. When you visit Duchman Family Winery you feel like you’ve somehow magically transported yourself to Tuscany. Duchman promises 100 percent Texas grapes and wines and you’ll appreciate their creative, fearless approach with varieties you don’t see regularly like aglianico and Montepulciano. You can actually stay on the grounds of Fall Creek Vineyards and enjoy a picnic and a breathtaking Texas sunset on the patio at Hawk’s Shadow. Try the award-winning wines at Salt Lick Cellars and book your tastings and tour at Westcave Cellars. With so many options, it’s fair to say Dripping Springs is a fantastic destination for lovers of wine and the finer things in life. Over the years, the Texas Hill Country has built a reputation for its hoppy craft brews and tasty wines. Although you can find locally-crafted beer and wine throughout the region, few places give you as many options as Dripping Springs. Within city limits, you’ll find Twisted X Brewing Company, which is known for its Tex Mex Beer and serves up unique Mexico-inspired brews like Cow Creek Tex Mex Dark Lager and Fuego (a jalapeño pilsner). Although Twisted X has enough beers to keep your palate busy, it’s not your only option. Drive less than 10 miles and you’ll encounter two other breweries, Jester King and Last Stand, that have all sorts of other hoppy delights on tap. Check out these places for yourself, or book a spot on the Texas Hill Country Brewery Tour, which takes you to Twisted X, Jester King, and another brewery or winery in the area. Dripping Springs isn’t just for craft beer lovers, however. If your taste buds favor the good stuff, book a tour of the famous Deep Eddy Vodka Distillery and sample its wide range of vodkas. As you’re planning your trip to Dripping Springs, try these classic cocktail recipes from Deep Eddy Vodka. Although craft distilleries are rare in Texas, that’s not the case here in town. See the proprietary handmade copper pot stills and attention to detail at the award-winning Dripping Springs Distilling, the other game in Dripping Springs. This is where they make Dripping Springs Vodka, Dripping Springs Orange Vodka (using hand-zested Texas oranges), and Dripping Springs Gin. They offer tours on Thursday, Friday, and Saturday and tastings Monday through Saturday, but be sure to book in advance. Not enough for you? Head on over to Treaty Oak Distilling, yet another brewery and distillery resting on 27 beautiful acres and named after a 500-year-old oak tree in Austin. Grab a gourmet creation from their food truck and go on one of the tours offered on Friday, Saturday, or Sunday (be sure to book online in advance). Treaty Oak has a long list of offerings that includes a bourbon whiskey, vodkas, rums, gins, and even craft beer. No matter where your palate takes you, bring a designated driver so you can fully enjoy all the tastes of Texas. Dripping Springs is a family-friendly Texas destination with many experiences sure to have your kids bragging about how cool their parents are. 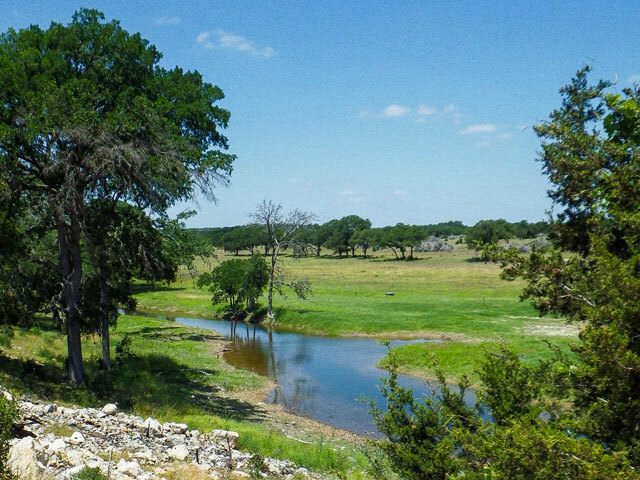 Take them horseback riding in places like Pedernales Falls State Park and Reimers Ranch. Observe mysterious creatures like spider monkeys, North American black bears, and ball pythons at the Austin Zoo, a rescue zoo between Austin and Dripping Springs. Learn about what life was like for a Texas pioneer family at the Dr. Pound Historical Farmstead & Museum. Plan in advance and book a special “Sarah's Trunk” presentation for the kiddos and demonstrations like corn husk doll making. Dripping Springs offers plenty of contemporary fun, too. Literally bounce off the walls at Jump Wild with wall-to-wall trampolines, inflatable slides and obstacle courses, and a snack bar. Play a friendly game of paintball at Austin Paintball with games for children of all ages, then treat everyone to ice cream cones and fudge at Dripping Springs Delight. Although Dripping Springs is known as the Wedding Capital of Texas for its spectacular scenery and breathtaking venues, its live music scene is just as awesome. No matter what day it is that you’re in town, you can find local musicians performing at many of Dripping Springs’ bars, tasting rooms, and restaurants. For a family friendly night out with great music and an exhaustive drink menu, head to Homespun Kitchen and Bar. Meanwhile, Hudson’s on Mercer hosts local, regional, and national acts five nights a week on historic Mercer Street in downtown Dripping Springs. If that’s not enough for you, enjoy some live music as you browse the fruit and vegetable stalls at the Dripping Springs Farmers Market. Want to catch a show while you’re in Dripping Springs? Check out this live music schedule.